By default the only way to gain access to Android WiFi settings with Kiosk Browser as the default launcher, is by opening Settings > Android Settings (via the gear/cog icon) > WiFi. However, in some circumstances you do not want the local "super-user" knowing the admin password or having the ability to access Kiosk Browser settings. To work around this Kiosk Browser has a WiFi only password feature. 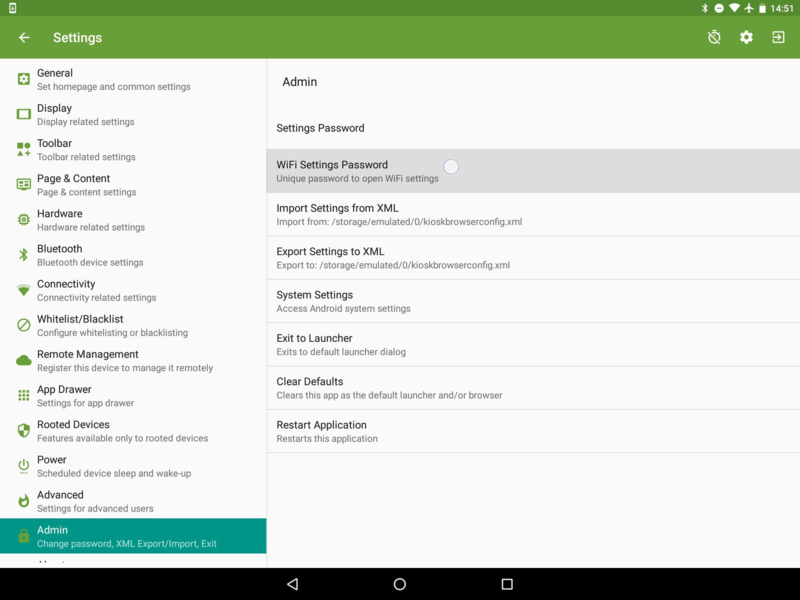 This allows you to set a unique password that can be entered into the password dialog (where you would usually enter your admin password to access KB settings); allowing a local super-user to access the device WiFi settings. 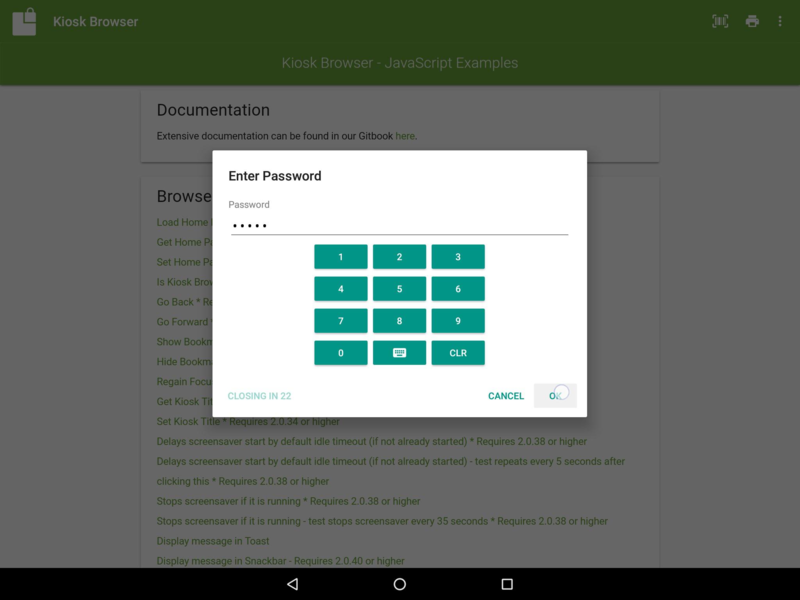 This will then enable you to either access the Kiosk Browser Settings by entering your Kiosk Browser admin password, or the device WiFi settings only. This can then be provided to a local super-user without the concern they may explore or change other Kiosk Browser settings. Please Note - The default WiFi Settings password must be changed before this feature can be used. Then you will see the WiFi Settings Password dialog. 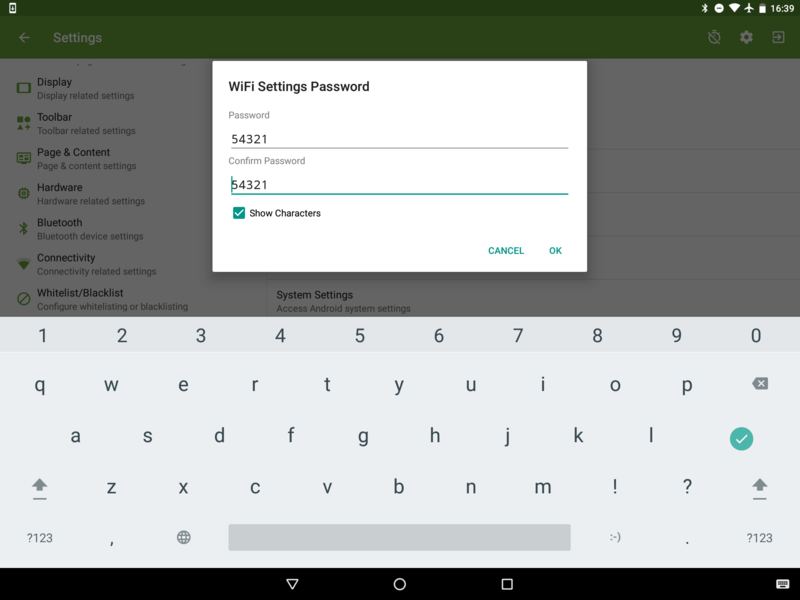 Here you will need to enter the unique password you wish to use to access the Android WiFi settings. Once this settings has been saved; from the browser window you would select Settings, as you would if you were accessing the Kiosk Browser settings. Enter your WiFi Settings password. Here you can now enter the password you chose as the WiFi Settings password, or your usual admin password to access Kiosk Browser settings. In this instance we have entered 54321, as this is the password we chose for WiFi. We recommend using a more complex password than consecutive digits such as 54321 and this has been chosen for illustrative purposes only! 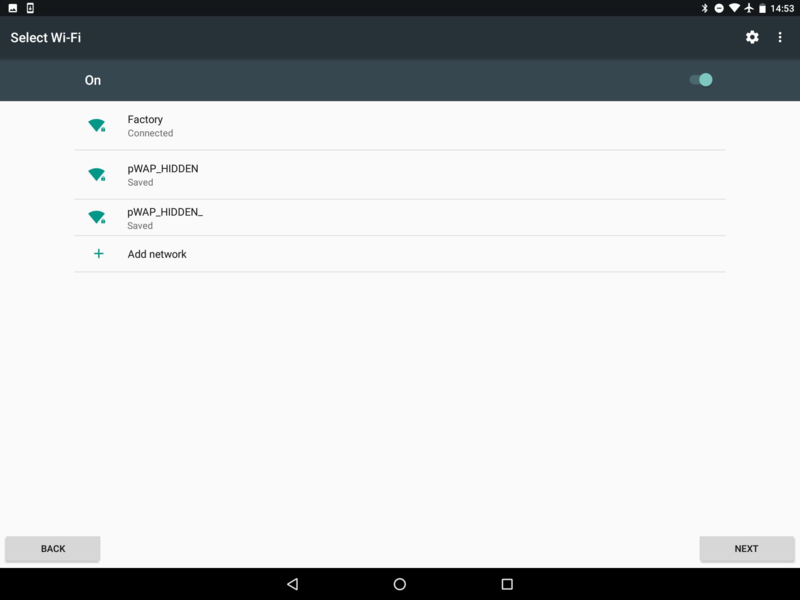 Your local super-user can now toggle WiFi off / on, and select a new WiFi network should they need to. Pressing the "back" or the "next" buttons, as well as the system bar buttons, will take them straight back to the default Kiosk URL, providing Kiosk Browser is correctly configured as the default launcher. As with all Kiosk Browser settings, this can also be found in the Remote Management profile settings, under the same path, Settings > Admin > WiFi Settings Password. If you are a Remote Management user, then the setting must be changed within the KB Remote Management console and not on the device itself. This is designed to be used only in rare circumstances where a trusted on-site user needs to configure WiFi access. 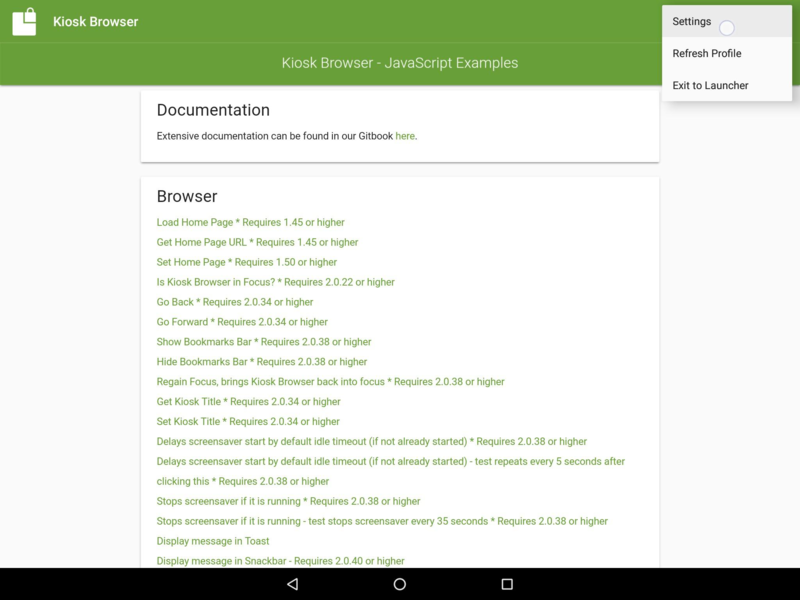 It allows access to Android settings on some devices which in turn can be used to disable/uninstall Kiosk Browser, and should be tested extensively before rolling out to a live environment.